The face of folk is changing forever. Elements of rock, reggae, electronica, psychedelia and any other conceivable musical movement are successfully blending into traditional acoustic songwriting. 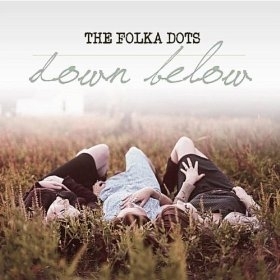 With all the diverse folk sounds now available out there, fans of the genre will find it refreshing to revisit the roots of the movement with Salt Lake natives The Folka Dots’ debut album, Down Below. From the beautiful, three-part vocal harmonies adorned with a slight country twang to the subdued guitar strumming, everything on the album sounds straight from a turn-of-the-century rural country fair, but there’s something to be said for sticking to basics and doing it well.